When I was a kid I spent a lot of time at the library. I don’t remember where I thought books came from. I knew about the printing press. I probably imagined books rolling off the press and arriving at the library in neatly packed boxes, but I don’t think I ever wondered about how books were created before they went to press. I just assumed there were people sitting in a room somewhere who had a special talent for making books. I suppose I was both right and wrong. 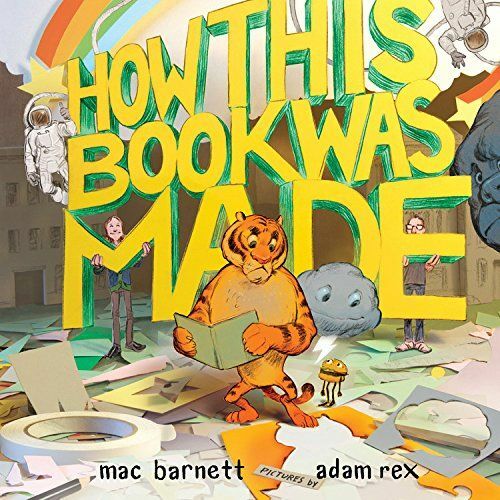 The first time I read How This Book Was Made I thought it would be best for older kids because the subject of the book, the craft of turning an idea into a real life document that other people can read requires a certain mastery of writing. I have read the book many times while preparing to write this review and I have changed my mind. I still think older children will grasp more of the nuance of the story like negotiating with the editor in New York or the illustrator’s creative process, but younger children will enjoy the humor and the tiger and the pirates. Along the way, they will also learn about how the books they read are made.